Two crew members have been injured on Norwegian Escape which is a large cruise ship operated by Norwegian Cruise Line. They have been medevaced from the vessel after an accident onboard occurred. The U.S. Coast Guard is reporting that a serious accident occurred on Norwegian Escape on Monday evening. Two crew Filipino members ages 25 and 26 were injured with second-degree burns in the ship’s engine room. At the time the Norwegian cruise ship was approximately 24 miles southeast of Atlantic Beach, North Carolina. The Coast Guard was notified that they needed an urgent medical evacuation. A helicopter was launched and et the ship out at sea where the two men were hoisted up accompanied by the ship doctor. They were transported to the Rocky Mount-Wilson Regional Airport in Nash Count where an EMS team awaited. Norwegian Escape is sailing 14-night Western Caribbean cruise which departed New York on November 25. When the accident happened, the Breakaway-plus class vessel was sailing towards the first port of call of Port Canaveral, Florida. The ship will arrive back at its homeport on December 9. 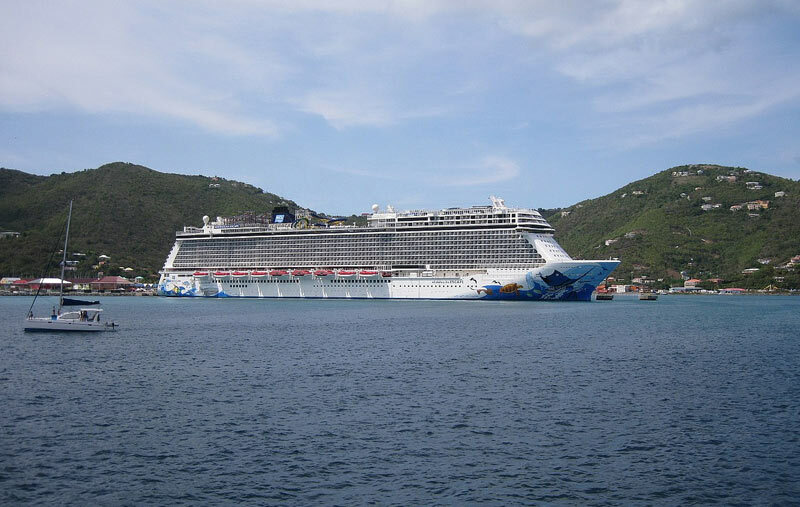 Norwegian Escape is 164,600 gross tons and has a guest capacity of over 4,200 at double occupancy.